Becoming familiar with the muscles that make up your body has more benefits than simply allowing you to talk shop with your training partners. The more familiar you are with the muscles you're working, the better you'll be able to judge what's needed to make improvements. In this article, we'll get to know the muscles that make up the chest and upper back. 3. Trapezius - this muscle runs from the mid spine to the shoulder and then to the neck. 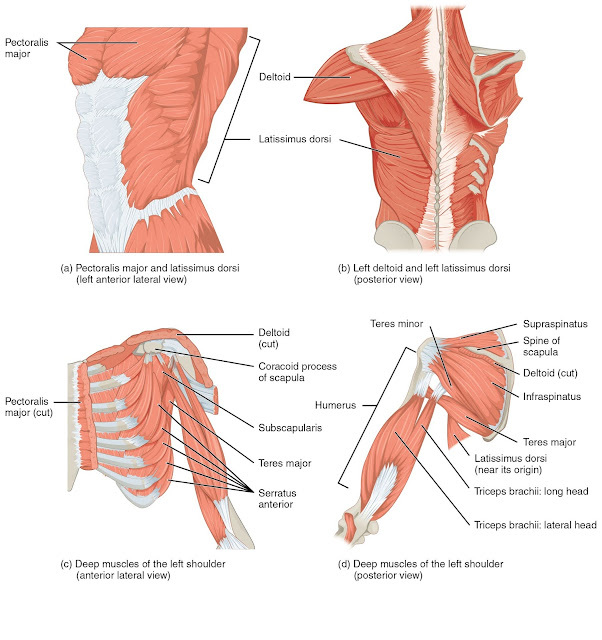 Its main role is to facilitate movement of the shoulder blades.